When Coca-Cola was first invented in the late 1900s, it was a patent medicine – a specially formulated product that was said to cure various ailments. Needless to say, Coke did not turn out to be a cure all and was bought by a businessman who saw more potential in the product as a refreshing soft drink than a medicine. An amaro has a similar origin story, in that that specific formula of each amaro was drunk to settle the stomach and make the drinker feel better. 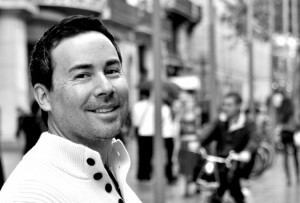 Amaros tend towards the bitter end of the spectrum, while Coke is on the sweet side, but both have complex layers of spices and flavors that make the distinct – and it turns out that the can pair exceptionally well together. 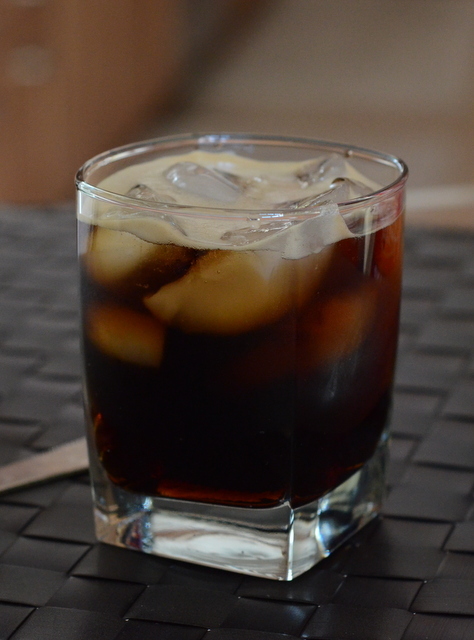 Ramazotti and Coke is a simple drink that I could definitely enjoy any day of the week. 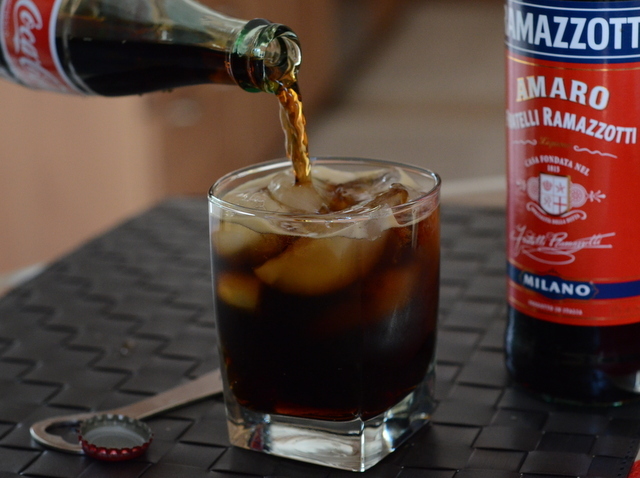 Ramazotti Amaro tastes a bit like root beer to begin with, and though it has strong anise and bitter orange notes, it actually shares a lot of flavor elements with Coke. Coke brings some extra sweetness to the drink and tempers that bitterness, leading to a balanced and drinkable cocktail that is a whole lot more interesting than a rum and Coke could ever be. Fill a glass with ice and pour in the Ramazzotti. Fill with Coke.